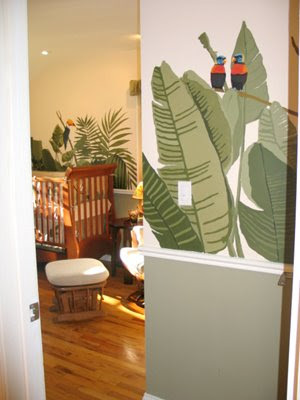 This tropical inspired mural was done by artist J.M. Goldy for a home in California. 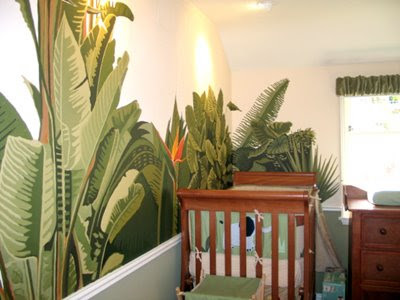 I love how she took from the Zanzibar Bedding Set and brought the greenery up into the walls as if the tropical ferns and leaves were always meant to be there. 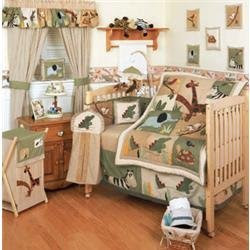 The colorful birds add just the right pop of color to tie in the warm tones in the wood floor and furniture pieces. 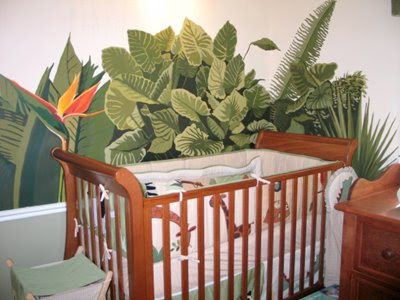 Click on the link below if you want to order this tropical / jungle bedding that inspired the above murals. I am in awe of this theme. I love it! 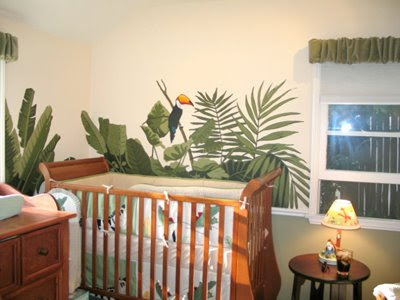 I havent seen anything like this and it looks great.